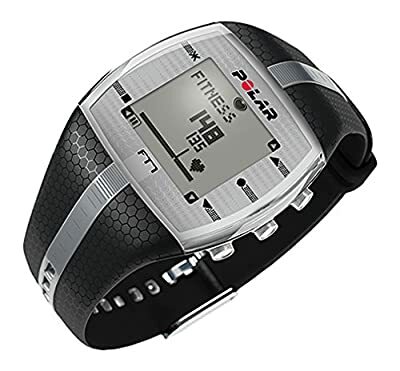 Polar FT7 is a high-end heart rate monitor and one of the best. A monitor such as FT7 can help you to take your fitness regime to a completely different level. It comes with awesome features such as Energy pointer, exercise guidance, accurate calorie burn and many more. This device will help you achieve your fitness goal and make exercise more fun. Polar FT7 is an accurate monitor. It comes with Chest Strap and a wristwatch. In general, chest strap monitors are considered more accurate. It transmits the data from the chest strap to the wristwatch in coded form (Polar OwnCode 5khz coded transmission), thus avoiding interference from other nearby devices. This feature enables the device to receive the readings from your transmitter only, thus providing accurate readings. Continuous heart rate reading: It shows continuous heart rate reading without you manually clicking any button. Thus, you can continuously focus on your workout. HeartTouch: This feature provides button to see the current time and other readings quickly. Just bring the watch near the chest strap and for few seconds the current time is displayed, then it goes back to the previous screen. Graphical target zone indicator: FT7 allows to display the zone you are in during a training session graphically. This helps you to maintain desired intensity zone. Energy Pointer: This feature tells you whether the effect of the training leads to fat burning or fitness improvement. It shows a mark as what level you are operating. If the mark is below the center point, you are burning fat and if the mark is above the center point you are improving your aerobic fitness. Manual target zones: This feature enables you to define the target zone as you want and is suitable for your training. You can set the target zone for your training as beats per minute (bpm), as a percentage of your maximum heart rate, or as a percentage of your heart rate reserve (HRR%).If you want this to be done automatically, you should look at Polar FT60 and FT80. Audible Alarms: FT7 has zone alarm that will beep when you cross your permissible heart rate limit. However, as per the users, the volume is low. And, it cannot be increased. Hence, if you are in rush area, you may not able to hear alarm. You need to view watch to check your heart rate. The good part of FT7 is, it allow you to set the heart rate limit for yourself. PolarPersonalTrainer.com acts as your personal diary. It allows you to visualize your data and customize your training regime. It’s a very well done website for which you get free access. In addition, it supports gymlink which allow the device to connect to compatible gym equipments. As a result you can view the readings in your gym equipment. Memory: Allows 99 files to be stored in the memory along with weekly history. Calories Burned: The Polar Training monitor uses OwnCal feature to display the total calories expended in a single session and in the overall training. Display: It has large and easy to read display with backlight, which comes handy in the dark or dim light. Water Resistance: FT7 heart rate monitor is suitable for swimming. You can view the readings; but it is unsafe to operate on the buttons. The heart rate monitor works 30 meters underwater. However, it is not suitable for diving. Multi Language Support: It supports English, German, Finnish, Swedish, French, Portuguese, Spanish, and Italian. It is an exceptional heart rate monitor. It has more features than most other heart rate monitor does. The cost is excellent for what FT7 has to offer. So definitely, it is worth every penny and a value for money. However, to transfer data to computer or online you need to buy separate accessory and thus increasing your overall cost. FT7 is loaded with features; we have covered few important ones above. For the complete list of feature, and how to use them, please refer to User Manual. You can also refer: Detailed comparison of FT7, FT4 and FT1. Every product is unique in itself. They have few features that other may or may not have. There are certain features, which it lacks such as stopwatch, pedometer and GPS. It doesn’t support Bluetooth or any wireless transfer of data. If you are looking for these features have a look at FT60 or FT80. FT7 has many amazing features. With all smart technology such as energy pointer, smart calories, OwnCal, it is a winner. For its cost, the value it provides is amazing and a good choice for most people. Overall, it is an excellent heart rate monitor and our top recommendation. Please advise if the POlar FT7 heart rate monitor is compatable to samsung 4 and discovery does it count the steps as well.